Rise. 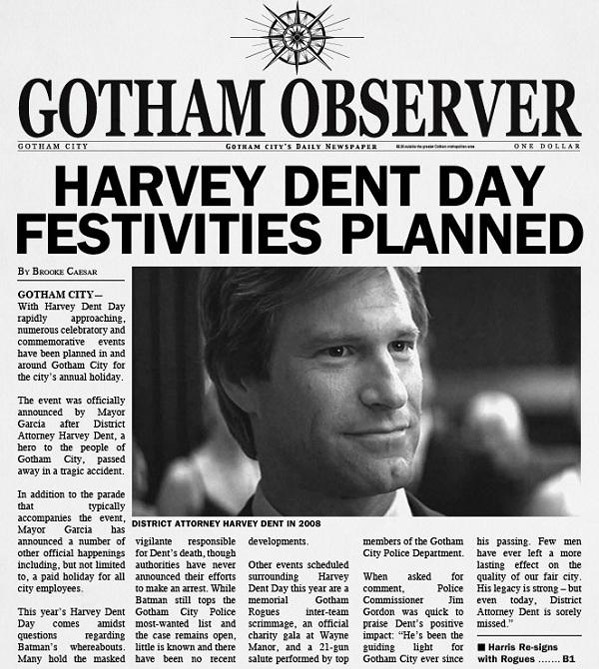 We're now under 30 days until Christopher Nolan's The Dark Knight Rises explodes into theaters in July, and that means it's time to go all out building up hype. 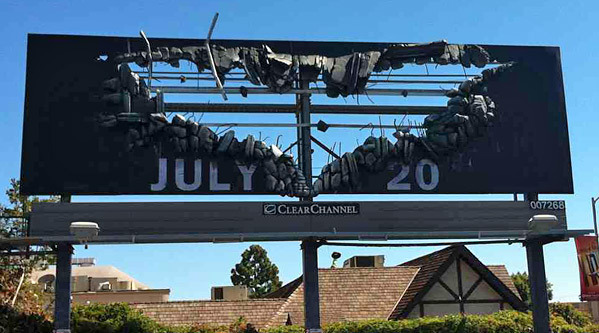 Warner Bros has started their strong traditional marketing push, with billboards, big posters and more advertising appearing in major cities like New York and Los Angeles. Our friends at SlashFilm caught a photo in LA of one of the coolest billboards I've ever seen, and while I was in NY this weekend, I snapped some shots of a series of posters in a subway station, as well as a big Times Square billboard being installed. Everyone excited for Batman must see these. First up, here are the photos I took in New York. I happened to be passing through the Times Square 42nd Street station, and saw this long display, then walked up to the street and caught "The Dark" half-billboard. 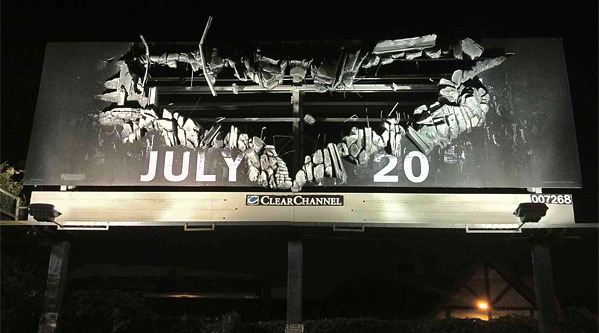 Second, here's an awesome Batman billboard in Los Angeles at Sunset & La Brea. That's an actual, physical hole with real debris, not an illusion. 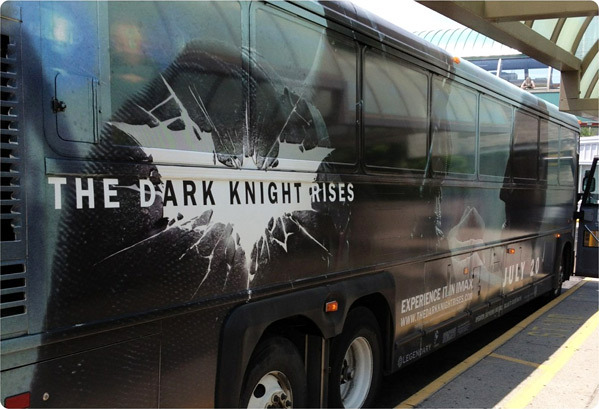 One of the best bits of TDKR marketing they've made (via SlashFilm). 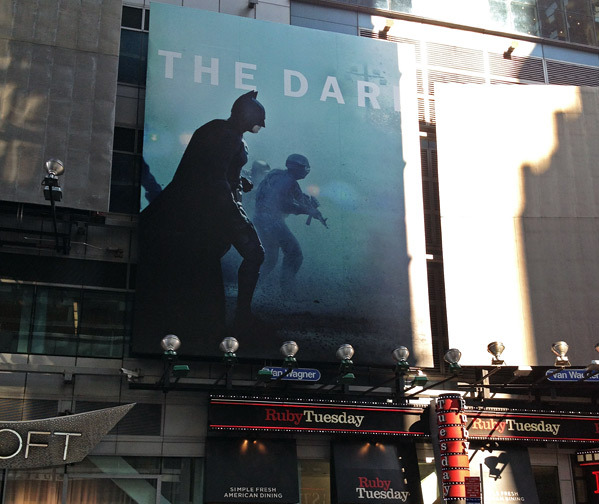 Update: A few more shots of TDKR ads on the streets from Batman-News.com's new gallery of photos. And they say bats are not entirely blind... what a joke! This is as great as it can get. It's probably just lack of communication between Nolan and the company they hired to do the viral stuff. The posters are poorly designed. Does not reflect the story. I don't know. I figured a poorly designed poster describes the series perfectly. Considering "meh" was soo 2010, I'm shocked (and pleased) you went back to 1990 with "Oh snap". Keep if fresh meh! Are you saying Batman, Bane, and Catwoman are not in the movie? Have you read the script? Are you a designer? Really almost can't take it anymore. Get the movie out now! 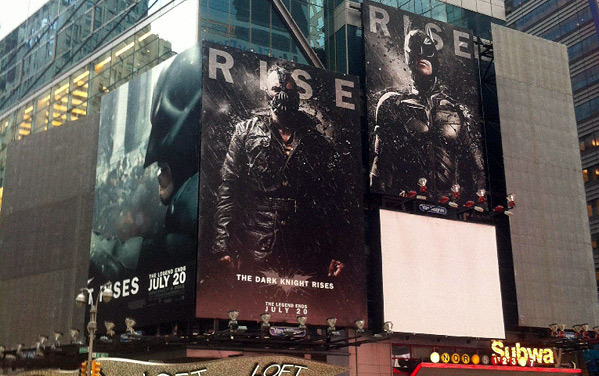 The posters are OK, but that billboard gets points for being original. Also, if anyone here lives in South Florida I'm selling my TDKR 15/70 IMAX midnight opening tickets. I can't go anymore. So if anybody wants them just reply. Nolan's Batman series' posters have never reflected the story in them, it's just simply the characters (well only one of them in each poster). These are cool but they can't beat the one with Batman in his cape flying down disguised with the other bats nor the one with the joker face on the wall. I agree Nolan's Bat-posters are meh at best but the "why so serious?" was epic. It' achieved meme status. However, I believe movie will have more iconic moments the other two. "Why so serious son" was the best in The Dark Knight and every line delivered by Liam Neeson in Batman Begins were unforgettable but but Tom Hardy's lines can (I believe) beat them. That "Mr. Wayne" (Bane talking to Batman) line in the Nokia trailer gives me chills and super excited for the film each time I hear it. This is amazing, I wish the did the same kind of promotion in Spain for this. AWESOMESAUCE!!!!!!!!!!!!!!!!! I CAN NOT WAIT!!! Looks like someone forgot The Avengers. Which was one of the greatest superhero movies ever (in my opinion) although I never expected nearly $600million US. NO Dear Akira , I mention that "many did either" ,Hunger Games and many others did it too but I didnt want write them (Cause: Avengers was " Rise Symbol " & some others either , but Brave not was fall NOR rise and I was talking about Fall and then Rise not reverse) I think movie flood on Smartness , Cleverness of Nolan not on his money or company. John Carter have big commercial propaganda too but unfortunately lose. Nolan is Mastermind. He have some skill even in commercial propaganda dude. Sorry didn't quite understand your post the first time. Thought it was a simple list of blockbusters. Although I agree on Prometheus being Not-Masterpiece and sadly haven't seen anything else this year (too busy this year). Yeah I "average" and "not masterpiece" and "just cool." Those doesn't sound so bad to me. You just sound like a guy who hates being impressed by things. I don't know if he is Russian, but it helps if you read everything he says in a Russian accent. I love the Bat-hole billboard... lol... and the being built we've seen before but it is very good, and the newspaper is a great touch. 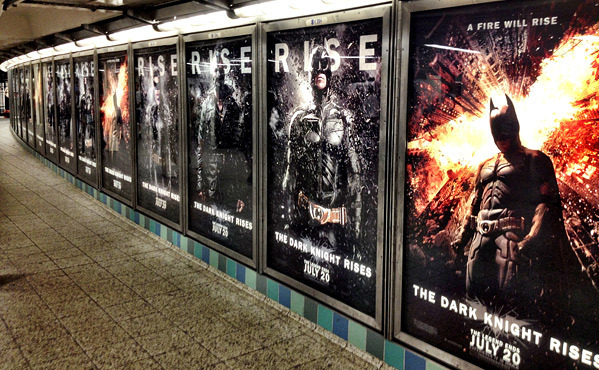 However, the "regular sized" poster are average, but putting a dozen (in this pic alone) side-by-side screams overhype, and if it wasn't the bats... desperation. I don't even think they need this amount of promotion. Still awesome though.